I have always been fascinated by volcanoes ever since it was a school topic in P4. The power, the reminder of our insignificance in time and their role in shaping the world in which we live today cannot fail to capture the imagination. So Mount St. Helens was a must on my ‘to do’ list for North America. She is not my first volcano as I visited Mount Etna many years ago but she has the most stunning setting. Located in the south of Washington state and only 50 miles northeast of Portland, Oregon is one of the lofty peaks of the Cascade mountains – Mount St. Helens. Known to the native First Nations people as the ‘smoking mountain’ because of her propensity to make herself known and the ‘Fujiyama of America’ up until that fateful day in 1980 due to her graceful, symmetrical snow-capped dome, Mount St. Helens has always fascinated those who have seen her. She got her more recent name from Captain George Vancouver who in 1792 named her in honour of the then British Ambassador to Spain, the Baron St. Helens. Incidentally he also named the three other major volcanic peaks in the Cascade mountain range after naval officers: Hood, Baker and Rainier. Although throughout our world’s history for the past 4000 years Mount St. Helens has been an active volcano changing and shaping the land around her it is that fateful day in May, 1980 and the resultant effects for which she is known. Due to her history of eruption scientists and vulcanologists had, five years previously, predicted her re-awakening and eruption and the potential extend of the hazards to the areas in her shadow and beyond. Therefore for scientists those first earthquakes on March 20th of 1980 were not so unexpected but although they were alarming to those living nearby and did cause some avalanches of snow and ice there were no signs initially of an eruption. On March 27th the smoking mountain announced her awakening with a thunderous explosion of ash and steam opening up a crater 250 ft wide. 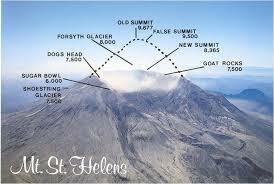 Over the next weeks Mount St. Helens continued to emit ash and steam and the crater became larger. Avalanches of snow and ice tainted by the ash flowed down the mountain’s previously pristine slopes. Earthquakes continued along with the more alarming variety associated with Hawaiian, Icelandic and Japanese volcanic eruptions suggesting that magma and gases were on the move and that more eruptions were to follow. There was a short period of respite for the area in late April and early May perhaps giving a false sense of security and questioning of the need for the continued evacuation which had been called for. However, the scientists and vulcanologists were observing some very significant changes in the surface and shape of the apparently dozing mountain. On the North face a ‘bulge’ had appeared and was growing at a steady rate as magma pushed it’s way through the fissure in earth’s crust. The many earthquakes through to the middle of May were coming from beneath the ‘bulge’ along with the steam blasts from the super heated groundwater. The mountain was being split in two by immeasurable natural forces – there was only one possible result. 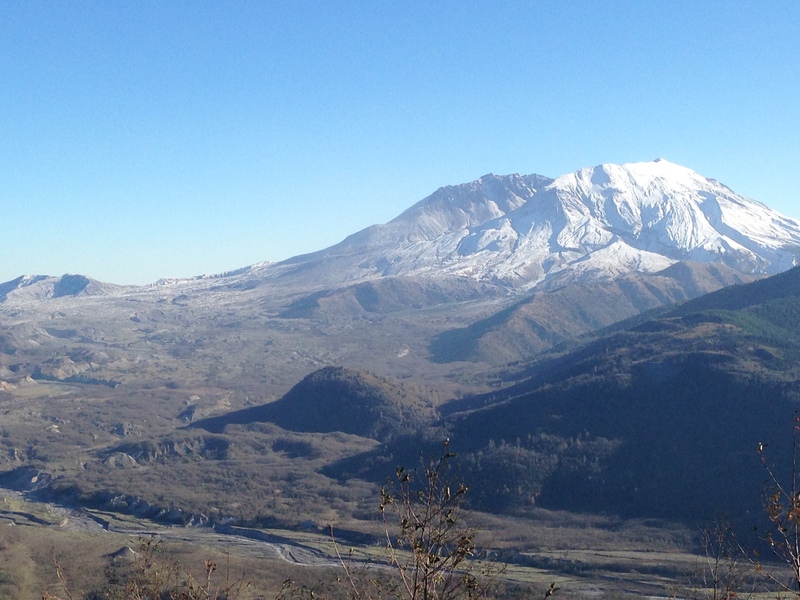 The day I visited Mount St. Helens in November was not unlike that eventful morning of 18th of May 1980 in that it was a prefect day. The sun was shining in a crystal clear blue sky. The volcano had shown no change in activity from the weeks prior and there were no warning signs from the myriad of measuring machines dotted around the mountain. 8.32am everything changed. A 5.1 earthquake beneath the volcano seemed to trigger the collapse of the ‘bulge’ and the whole side of the mountain began to move producing the largest landslide avalanche on record. This was followed by a huge explosion as the magma which was no longer under the pressure of the rock. Hot volcanic gases, ash and pumice spread outwards in a pyroclastic flow in a wave passing the speed of sound. It left absolute destruction in it’s wake with trees and everything natural or manmade nearest in the ‘Direct Blast Zone’ being obliterated or carried along with the flow. in the ‘Channelized Blast Zone’ everything was flattened as the flow passed by with trees snapped at the base of trunks and left lying in the direction of the flow. In the ‘Seared Zone’, the outer most reaches of the pyroclastic flow, trees were killed by the extreme heat. The following landslide avalanches and resulting mud flows changed the landscape forever scraping previously lush mountain sides to bare rock faces. Lakes were submerged and new lakes carved out. The perfect cone mountain was no more. Today, almost 35 years on, many local people are still living with the continued impact of that day. One of our taxi drivers recalled his memories of that day when as a 21 year old driver in Portland his ingenuity had enabled him to keep driving despite the falling ash. Despite strange looks and comments as he bought up a shop’s supply of ladies tights his idea to create a filter to stop the engine clogging worked. Stopping every 15 minutes to clean or change the improvised filter – and stop the engine going on fire – he helped many people get home during those first days. 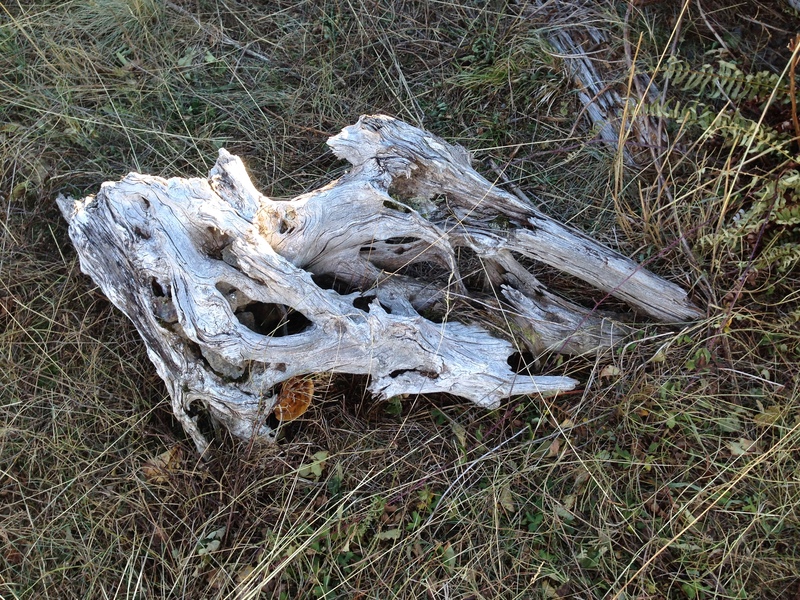 The land still bears the marks of the devastation, or is it natural renewal? Part of the area has been returned to the forest department and replanting is underway with some of the initial tree planting due for cutting soon. A large part of the devastated area, particularly in the ‘Direct Blast Zone’ has been left to nature to repair naturally which is happening. The snapped trunks remain as reminders of the forces which ravaged the area and some of the bare rock faces remain so. Bare rock where ancient forest stood – on high ground some bare trunks still stand having been sheltered from the blast but killed by the heat. 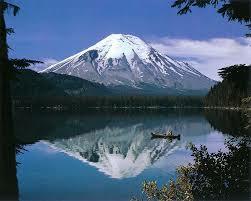 Her looks have gone, no longer is she the ‘Fujiyama of America’ as the gaping crater on the North face remains. However, her dome is growing again from within as barely molten magma slowly emerges through the old crater reminding us that she is may be dormant for now but is still very much an active volcano. 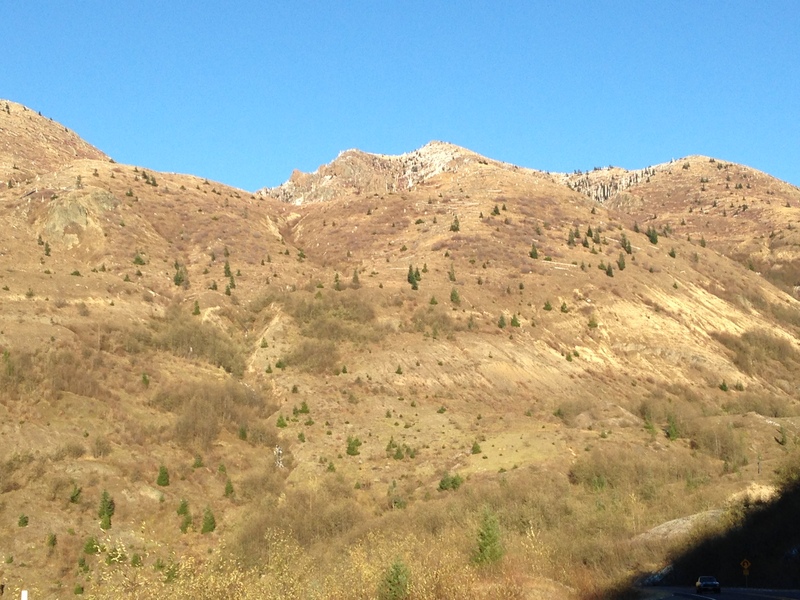 Mount St. Helens on 15.11.14 – the collapsed north face visible. This entry was posted in North America on November 17, 2014 by janemgardner.